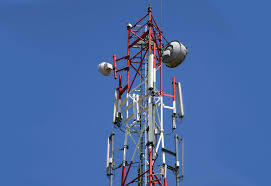 PUNE: A 55-year-old woman from Ganj Peth was duped of Rs4.37 lakh by two persons who offered her Rs 85 lakh as deposit and a monthly rent of Rs 90,000 for providing space at her plot in Daund to install a mobile tower. The suspects presented themselves as employees of a mobile tower installation firm and collected Rs 4.37 lakh from the complainant, Kumudini Kurapatti, on the pretext of taking processing fee, transport and other charges. The complainant deposited the money in three different bank accounts between December 2017 and February this year. Kurapatti had purchased a plot in Vasunde village of Daund taluka last year and wanted to utilize the space for business. In December last year, she found an advertisement in a local newspaper about a firm looking to install mobile towers. The firm had promised Rs 85 lakh as deposit for 20 years and rent of Rs 90,000 per month. “Kurapatti contacted the cell phone number mentioned in the advertisement. One of the suspects, who posed as the employee of the firm, immediately agreed to install the tower at her plot and asked her to deposit Rs 2,500 as the processing fee,” said a Khadak police officer. After she deposited the amount, Kurapatti received an agreement copy and other documents from the firm by post. Later, one of the suspects again called and told her that the firm had sent a team to Daund. He asked her to deposit Rs 25,000 as transportation and labour charges. “Kurapatti deposited that amount too,” the officer said. Between December 2017 and February 2018, the suspects took Rs 4.37 lakh from Kurapatti giving similar reasons. When no one turned up for the tower installation even after a month, Kurapatti realized she had been duped. The suspects have been booked under sections 420 (cheating) and 406 (criminal breach of trust) of the Indian Penal Code. India having second thoughts over 100% EV target?